Engaging Women and Gender Research & Women Empowerment. Welcome to my WordPress website! I am Martina Topić. My biggest passion in life is conducting research and learning about everything that matters to people in their daily lives. I am even more passionate about disseminating my research to wider audiences and exchanging knowledge. I am happy to participate in conferences or business events and run workshops or give a keynote speech presenting my research. My research is always driven by humans and is about humans. In particular, I am interested in women’s experiences in their daily lives and in business. To that end, I am currently leading two projects, ‘Women in UK’s Advertising Industry’ (funded by the British Academy) and ‘Women in Public Relations’ (funded by EUPRERA). In these projects, I am looking at experiences of women in these industries and ways towards empowering them, as well as improving communication, solidarity, and collaboration amongst women. I also have a research interest in communication and leadership styles, in particular with regards to gender differences. I hold PhD in Marketing, Public Relations and Communications (Leeds Beckett University, 2019), PhD in Sociology (University of Zagreb, Faculty of Humanities and Social Sciences, 2013), Postgraduate Diploma in Media and Journalism (City University London, 2007), Master degree in Political science (University of Zagreb, Faculty of Political Science, 2003), and Master degree in Journalism (University of Zagreb, Faculty of Political Science, 2003). 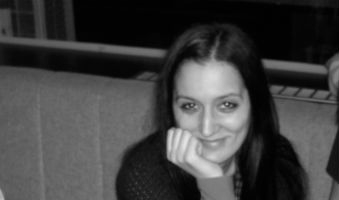 I worked as a journalist for several years in the print media in Croatia, Slovenia and Italy (2003-2009). Since 2007, I work in academia. At first, I worked as a research fellow and teaching assistant at the University of Zagreb (12/2007-12/2013), and then as a Graduate Teaching Assistant at the Leeds Beckett University (07/2014-05/2016). From May 2016 to December 2017 I worked as a Lecturer in Public Relations at the Leeds Beckett University, where I was teaching a variety of modules in Journalism, Public Relations and Marketing. Since December 2017, I work as a Senior Lecturer in Public Relations and I am teaching media and public relations modules. I have worked at several research projects, i.e. UNESCO Media development indicators (2008-2009), FP7 Identities and Modernities in Europe (2009-2012), European Commission’s Public Service Employment project (2017) and currently I work at COMPETE IN project funded by the European Commission. I have extensive experience in event management, marketing and sales, as well as entrepreneurship. In addition, I am a co-founder of the Centre for Research in Social Sciences and Humanities where I am organising international conferences and co-editing an international journal. I am solely responsible for managing the Centre (accounting, admin, authoring and organising conferences), which also includes all marketing for conferences. Currently, I am also freelancing as a reviewer for academic publications, and as a consultant for social media marketing and developing personal online portfolios. I am a trained Word Press website designer and trained SEO user with experience in designing social media profiles (business and personal) and personal marketing strategy. This website contains information about my academic and professional work and my blog. The blog is about everything related to communication, film, media and everyday lives. These are the fields that interest me, both professionally and personally. Full work experience is available at my LinkedIn Profile. This is a personal website, and what I write here has nothing to do with my paid work, i.e. views expressed here are mine only and do not necessarily relate to my employer and/or institutions I am affiliated with.